Add a special touch to your Halloween bash with personalized plastic plates. 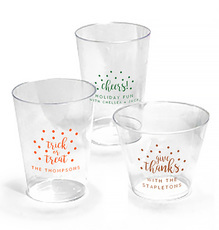 Personalize with a Halloween design or a cute phrase. 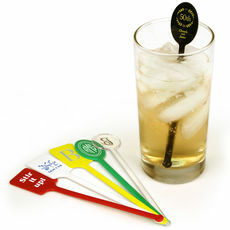 Your choice of plate color, plate size, personalization color and..
A Stationery Studio Exclusive! 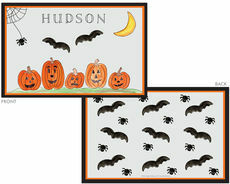 Your Halloween table will be extra special with these adorable personalized placemats featuring a cute candy corn treat design. 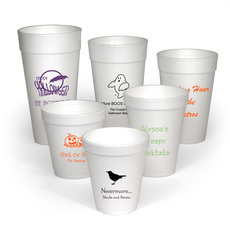 These personalized placemats are..
Add a special touch to your Halloween party with personalized disposable or reusable stadium cups. 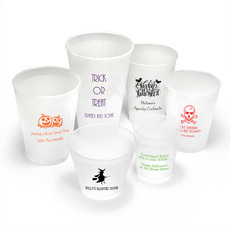 Personalize with a Halloween design or a cute phrase. 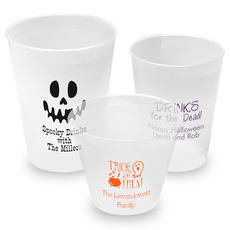 Your choice of cup color, imprint color and..
Add a special touch to your Halloween party with personalized disposable clear hard plastic cups. 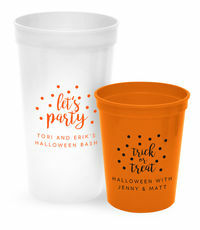 Personalize with a Halloween design, cute phrase. and your imprint and make a great impression! Your..
A Stationery Studio Exclusive! 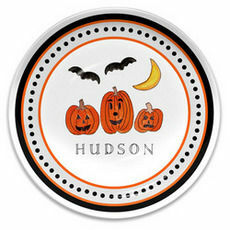 Your Halloween table will be extra special with these adorable personalized placemats. 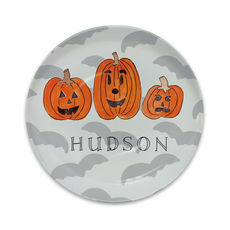 These personalized placemats are available as individual laminated placemats or as..
Add a special touch to your Halloween party with personalized white foam cups. 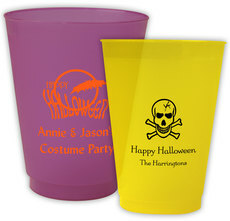 Personalize with a Halloween design, text, phrase or cute phrase. 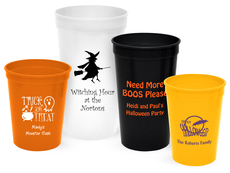 Your choice of imprint color and personalization..
Add a special touch to your Halloween party with personalized disposable or reusable shatterproof frosted cups. 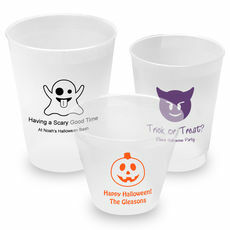 Personalize with a Halloween design or a cute phrase. Top-rack dishwasher safe. Your..